I just read this article and thought you might want to give it a read, too. 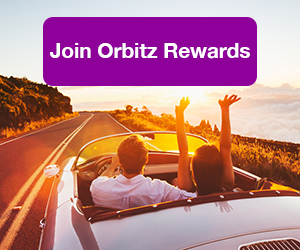 It\'s called 7 reasons Belize should be on your bucket list and you can find it here https://www.orbitz.com/blog/2016/12/7-reasons-belize-bucket-list/. 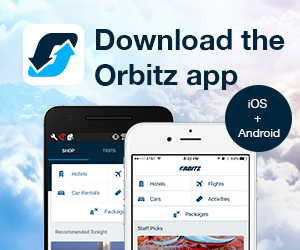 Has Belize been on your travel radar? If you are looking to explore Central America for the first time, Belize is the perfect start. English is the official language and the U.S. dollar is fixed to the Belize dollar at 2 to 1, making conversions easy for tourists. Read on and see why Belize will soon be bumped up to the top of your bucket list. 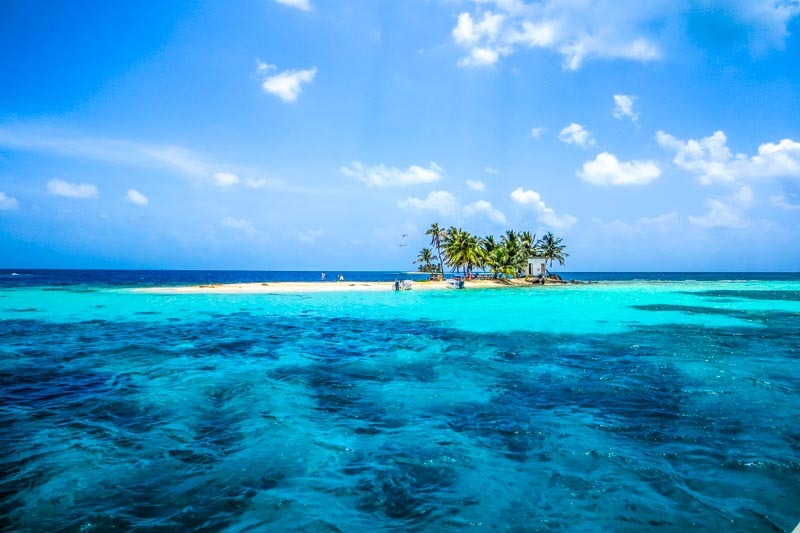 Jump on a boat and explore the cayes of Belize. A caye is a small, sandy island that sits on the surface of a coral reef. Spend a week on Ambergris, the largest caye, or explore a smaller one like Silk Cayes via a day trip. Our personal favorite little island is Caye Caulker, a small drop of sand with the motto “Go slow.” It’s the perfect island to kick back and relax for a week. 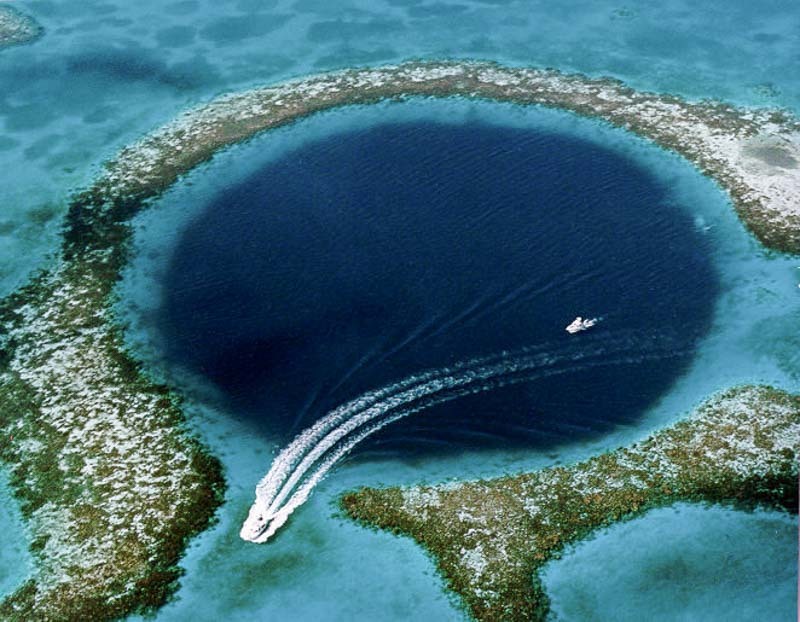 The Great Blue Hole is literally a giant sinkhole in the middle of the ocean, stretched 984 feet across and 410 feet deep, and popular with divers as being on their bucket list of dive sites. 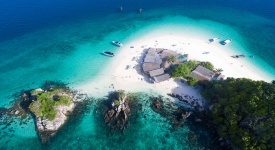 If you aren’t a diver, no other view will compare to that of one from a seaplane. Scenic flights can be organized for under $200 from Ambergris Caye and Belize City. Belize has the highest concentration of Mayan Ruins in the world, including more than 600 sites that date from 300 BC to 900 AD. At one time the Mayan population in Belize was two million, but currently the population is a fraction of that with only 300,000. 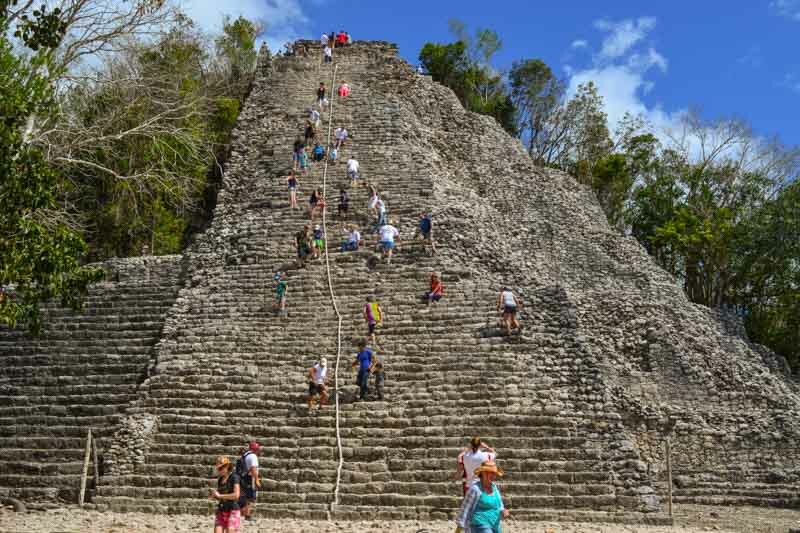 If you are staying on Caye Caulker or Ambergris Caye, a day trip to Altun Ha ruins can be organized. 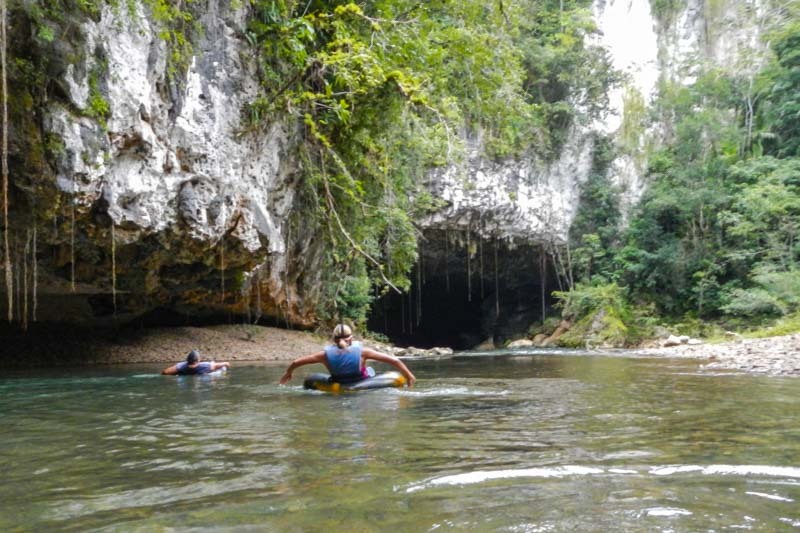 Jump on an inner tube and explore the limestone caves at the Nohoch Che’en Caves Branch Archaeological Reserve. This network of caverns was once the sight of sacred Mayan rituals. Cave tubing in Belize is a must when visiting mainland Belize. Get a taste of fresh Caribbean lobster in Belize. Lobster season runs June 15 through February 15 and every year in mid-June, there is a lobster festival to kick off the season. Fran’s Grill on Caye Caulker serves our favorite lobster roll. Her slogan is “It’s Fran-Tastic” and it was! 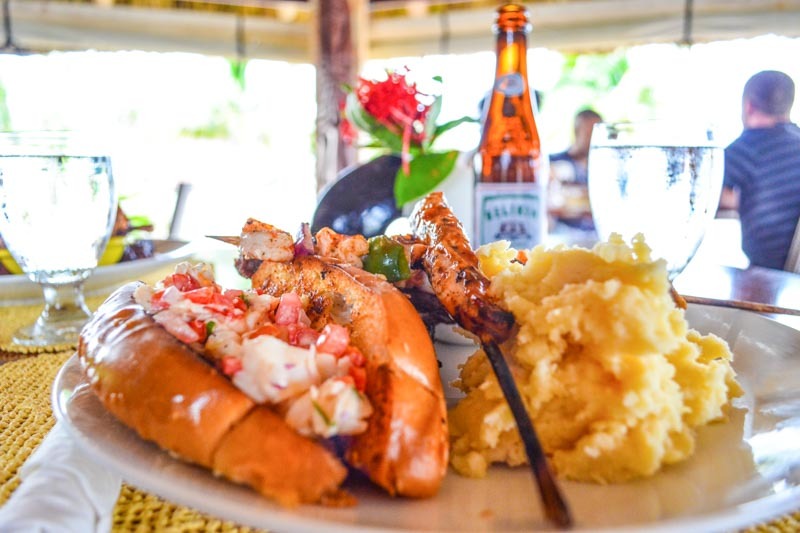 Fran’s is just a simple little beach shack serving up tasty grilled lobsters, mashed potatoes, chocolate cake, and rum punch for only $12.50 USD. 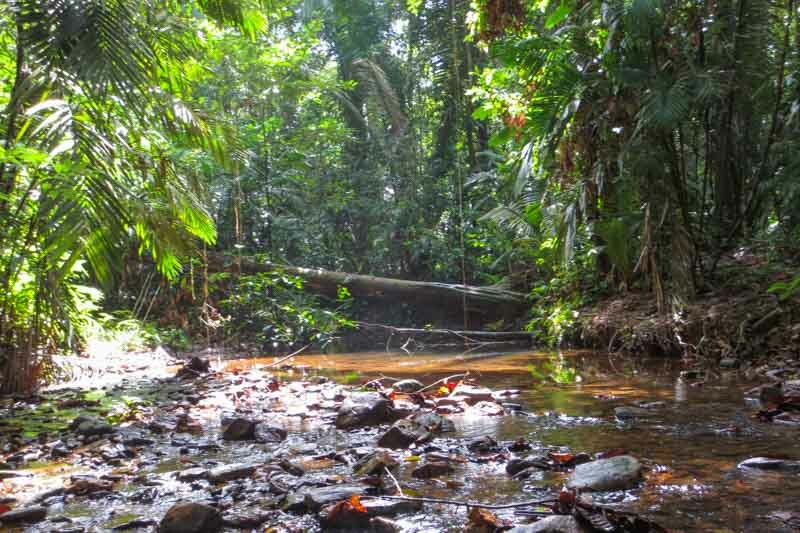 Head to the town of San Ignacio to explore the jungle. Jump on a horse or just hit the hiking trails located deep within. Alternatively, head out with a flashlight at midnight to go bug hunting with a local guide and you are sure to find some creepy crawlers. Nothing says vacation like looking for tarantulas in the dark. San Ignacio is a good place to stay to explore several of the Mayan ruins, and has a variety of outdoor activities. We highly suggest the luxury hotel Ka’ana Resort; it’s the perfect place to rest your head after a day in the jungle. The Belize Barrier Reef is part of the second largest coral reef in the world after the Great Barrier Reef in Australia. The reef runs the tip of the Yucatan Peninsula all the way to Honduras. Charles Darwin described the Belize Barrier Reef as “the most remarkable reef in the West Indies” back in 1842. 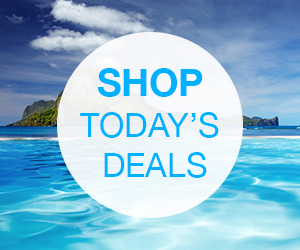 Grab a mask and snorkel, and head out into the water to discover the marine life. 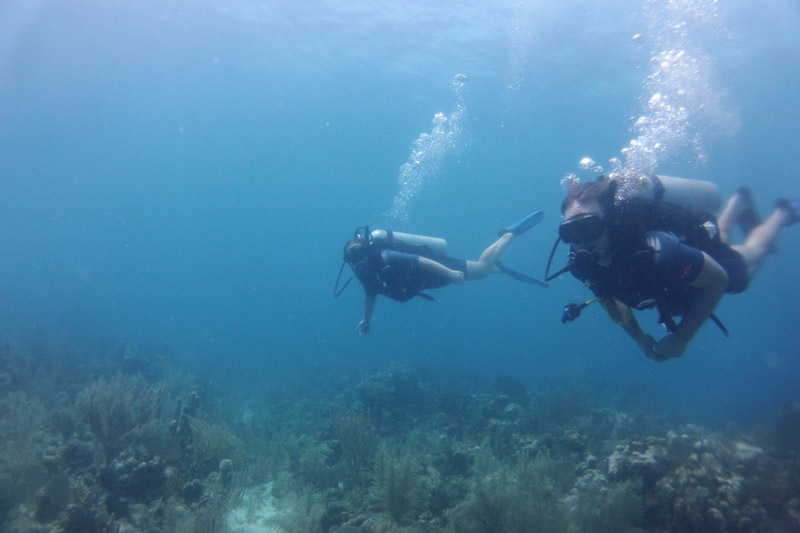 Belize is the perfect spot to try diving for the first time, who should start with a discovery dive. WARNING diving is addicting! You are right. I went to Xunantunish and it looks different. Looks like an amazing place to vacation to!! 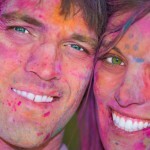 My husband and I just returned from a weeks vacation in Belize. We were in Belize City, Caye Caulker and Hopkins. It was a wonderful. The weather was warm, the sea was Caribbian blue and warm, the beaches and scenery beautiful and the people very tourist friendly. The reasons above are enough for you to prepare for a trip to explore this place.